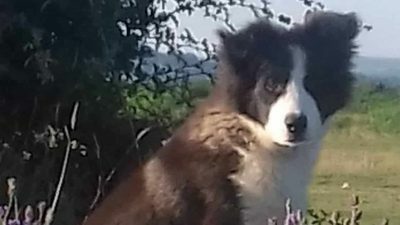 Rocky the border collie was being trained for what he was bred for: herding sheep. Rocky was only 7 months old. He took his job very seriously. One day, he decided to round up his nine ovine charges right into the house. Rosalyn Edwards told the telegraph that she was in the kitchen when she heard some strange noises. She turned around the see 9 sheep and her dog. She posted a video on Facebook of the sheep, writing “Rocky the sheepdog, brought a whole new meaning to ‘bringing the sheep home! '” In the video, you can hear her and her husband shooing the sheep, who don’t seem to care at all. Eventually they were able to coax the sheep out the front door, leaving a big mess behind.